Single File: a special focus on Aretha this week, R.I.P. Story Corner: Songs That Tell Stories. This time: Ireland! ok, good now i can go make breakfast. goodmorning noisy ones! which came first, 'Lucifer Lady' or 'Spooky'? Yip yip! Monday morning McGasko music mayhem madness! Including surface noise. Swag packages received intact, thank you. You can't beat Guaraldi's left hand on those bass keys. He's a machine. Morning all. Happy to report my swag arrived over the weekend. Thanks Joe!! & 'spooky' began as an instrumental, too! Hey Khrys O: wanna dance? hey joe: do some porto rican boogaloo today? been waiting to hear Dennis Coffey on fmu for a while now! Hola, radio friends. Thanks for joining me this morning. Let's see where it goes. It's the first day of fall term at work and I can feel the Damoclean sword swinging above my head. It's also the first day I'm using my swanky new WFMU lunch bag. Thank you, Joe! Oh yeah, thanks for the swag, as well, Joe. Received it Friday, which is stupid fast given our correspondence about substitute items on Thursday! Yo Joe. Reveling in my Swagmas bounty, gracias!!! thanks so much for brilliant listener services, Joe! honestly. Santana for the anniversary of Woodstock Joe? 49 years young. Woodstock started on August 15th, 1969. The very day I was born, so we missed that by a few days. living about 20 minutes from Bethel now. Woodstock changed the landscape so beautifully. still hearing echoes today. OK, quick, what song does "The Meditation" sound like? Linda Lee wins on all counts. The massive army of angry red-eyed vampire-zombie rats slowly advanced towards the pathetic, stupid, cowering, drooling Don Felder, and then... OOPS! Sorry! I thought it was Tuesday for a second there. Never mind! It's also got some "tighten up" in it. @JoeMac: any chance of some joe bataan this mornin? @LoneMonk: Sure, I'll see what I can do! That's it, I'm buying a güiro. @karlward is that a fancy name for a fried banana? Ah, yes, a Sandpipers-vibe from the mid-Sixties. Lovely. Good morning, Joe, McGaskoes, all. Joe Bataan was playing in Nyack recently and I missed it. He's playing in Brooklyn Saturday and I'm going to miss that too. this grooves harder than isaac's. amazing but true. You're reading my mind, karl! @karlward : I feel bad for you, I got to catch Joe last summer, such a great show and band. They did a really dope version of Chaka Khan's "Ain't Nobody"! *that* will be a show. where's vic ruggiero when we really need him? he would LOVE this playlist!! McGasko! FIRE IS FLYIN FROM YOUR FINGER TIPS THIS MORNING!!! NOW THIS IS SOME COMFY BED MUSIC! good lord! Free!!!! come on folks, go!! I’d love to hear you talk over some Barry White backing tracks, Joe. first time out wit da new vocal chords!? LOL! dammit Joe: get yo'self some eucalyptus drops! yes!! bring that Single File Joe! brilliant!!! Wow Joe..I thought you said the Bats and the female voice threw me. No, just sleepy DJ! Operator Error. I m okay with rolling it back. I thought we needed another take on that first verse. Once more with feeling. LIKE THE MUFFS MIT-OUT -DA SCREAMING!!! @Jake: Both of those songs are so '90s that I almost feel nostalgic listening to them and they're new! Exactly! And for some reason this Fall-ish weather in NYC and being around Chelsea makes me feel I should head over to Disc-O-Rama to check out new “promo” CDs then head over to Tramps and/or Irving Plaza for a show. @JoeMcG: thanks for the latino boogaloo this morning, a great way to kick things (including my culo) into gear! OOH! Thank you for the Joan! ... but who cares what a great song. @JG all i know is i was very happy for the novelty of sleeping with the AC *off* last night! I need me my sunshine. Yeah my friend and I played Track Record a lot in his car around '87-'88 and we took turns analyzing the wacky lyrics. @Brendan: I am utterly shocked that a pop artist’s lyrics would make no sense whatsoever. What do I pay taxes for? @Brendan: Joan's a pretty canny gal, I bet it all means something. 'FMU be playin' the shirt outta the new Gene Clark release. That's a good thing. Ladies, please leave the room. Ah, good ole crazy Ira Louvin. Amazing to think that the comments board is in its twelfth year. Good music to come alive to this morning, Joe! And next year it will be it’s Bar Mitzvah! I recognized Chris Thile's playing from the first bars. Great set, Joe. Thanks for introducing me to a bunch of acts in it, including Shiny Coin! This has Hot Tuna all over it! The whole concept of literal “Hot Tuna” is disgusting. Reminds me of The Band. Chris Thile is indeed hosting Prairie Home Companion. i don't like it either. Joe, going to see Ethan Johns on Wednesday. a player as well as producer. He has a bit of the Band about him. Garrison Keillor is such an over rated NPR vanilla whitebread loser. Yup, he took over for Prairy Home Companion but they renamed it ,Live From Here. Still just as bad ,though the music is better . Chris Thile (pronounced THEE-lee) is indeed the new host for at least the last year. The show is now called "Live From Here," not the most original name, and I do like the musical segments. The comedy, not so much. I have Track Record, and yes to more Joan Armatrading! Keillor showed his true colors when he *sued* some young kid who posted a PHC parody online. honestly, really? Will just say this, I hated “Prairie Home Companion”’s humor when I first heard it, but then I laughed at a few shows before Garrison got kicked off. The kind of humor that “Live From Here” engages in is distinctly midwestern. And this Brooklyn born kid can’t stand it. those beautiful red Atlantic 45s!!! let's go babe. Agreed, Jake, the comedy's not all that funny. Now she's is gone I am realizing How AMAZING She truly was!!! I AM MAD AT MYSELF!!! I GUESS BETTER LATE...THAN NEVER...RIP THE QUEEN!!! No one has had a tuna steak, I guess. Actually quite good. always got a whiff of that innate nastiness, myself. & i think his fans did too. they liked it. Oops, my copy of "I Never Loved a Man" has seen better days. Sorry! “Chain of Fools” and “Rock Steady” are great! Was in a thrift store in Gloucester yesterday and as soon as I came in the woman that owned the store started playing Aretha. We looked at each other and whooh. Heavy emotional moment. Felt my heart swell. Oy. Joe, this record won't sound bad 'less you burn it. @Irene: On the positive side I like to bring up “Prairie Home Companion”/“Live From Here” when I point out what the world of comedy would be if it was just WASPy. Bleagh! One of my Aretha favorites. The world was lucky to have such a giant talent and stupendous human. what a gorgeous cover! new to me. thanks Joe! @pantz I was thinking canned. Canned Tuna and Hot Heat would have been more logical band names, who knows what they were thinking. Busy Monday and loving this show so I went ahead and starred up on the entire episode. Thank you Joe, and thank you so much for the embarrassment of riches that was my Swag delivery last week! All shirts will be worn, if not simultaneously, and the Explorer's Room CD has been living in my deck for days. FUN! Ahh! I can't handle it. gosh. why the midwestern thing? genetic boredom? What's with the Midwest bashing? Geez. @LL the children of the corn have invaded my city and turned it into a giant tourist trap (and strip mall) with the help of bloomberg. they are evil, EVIL i tells ya! Hey, Kelly! @Mick: You bet. I think she sounds best on singles, actually. I have a few of her LPs and I like some of them, but my fave is still "Aretha's Gold," which is her first singles comp (I think). @LL exactly! another carpet bagger! @Linda I know, it was a joke. you mean as in 'leiber & stoller'? Aretha was from the Midwest, so let's consider that. @pantz: I kinda think if you are not white and from the Midwest it’s different. Just saying. 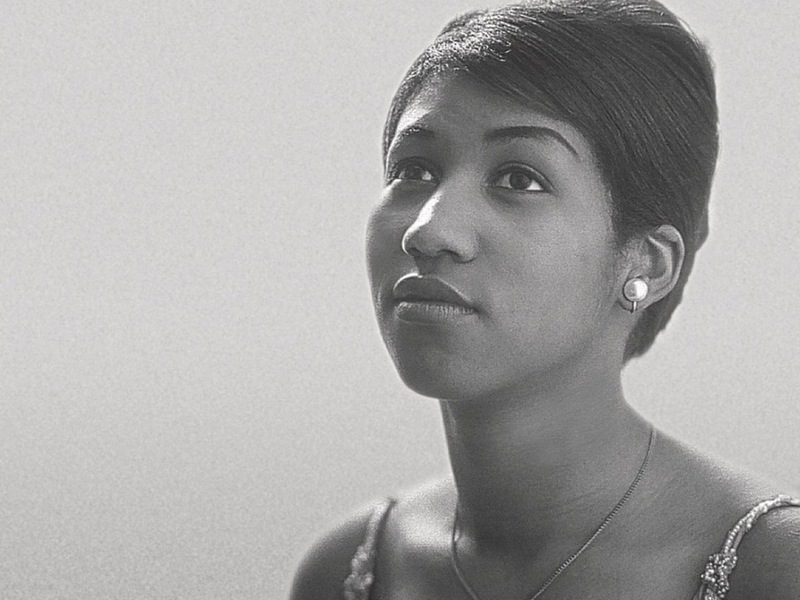 Aretha was born in Memphis. Aretha is playing in Heaven.... hers and mine. The large cities of the Midwest are still Midwest. @JoeMac: gonna play 'the weight' so you can sneak a little duane tribute in too? This is my absolute favorite Aretha song. Do right, everyone. Yes. "Do Right Woman" ~ her most gorgeous ballad, imo. but Lord, who can really name one..
@melinda: But slightly more tolerable and open-minded at best; more stratified and divided at worst. Look at St. Louis or Milwaukee for example. And even in NY state I’m learning about the divisions in upstate cities like Poughkeepsie. Anyway, THANKS FOR THIS SET OF ARETHA JOE!!! What's the music that plays when the DJ is talking? I like it. you never saw the remake of 'cape fear'? @Jake maybe so, I just have low tolerance for massive generalizations about large regions. @LL one thing cinema does well is revenge fantasies...you can work out a lot of bad sh*t vicariously! Though I understand it's fun to make them, I do it too sometimes. y'know, i never approached it that way. it was always pure escapism. tarantino tries, but he just ends up making violent baby movies with snarky dialogue. he thinks he gets it, but he really doesn't. Apparently, Phil hated this song and the band never played it live. I think he was wrong! @LL sergio leone & kurosawa made careers of it! never felt attracted to Tarantino. i liked Pulp Fiction ok, but didn't everyone? I like Lynott a lott. “Pulp Fiction” was fine until you realize that Tarantino is just rehashing the same formula over and over. I liked “Jackie Brown” but I can’t ever care to see his films more than once. i do like sergio leone for the camp value. kurosawa is still unknown to me, generally. as i say: plebe. i spent 40 years in new york with full access to the world's great cinema, but i had my fun elsewhere. @LL reservoir dogs & pulp fiction were engaging. like a friend of mine says, "he made 1 1/2 decent movies and has been living off it ever since"
wasn't the rehashing in PF the point? the story of the second chance? I was bummed that I couldn't see the Lynott statue in Dublin, because someone hit it with a truck and it was removed from the street. Man... two of my faves. Thin Lizzy and the Boomtown Rats! Oh wow! A “Boomtown Rats” track. sadly, most of the repertory houses are gone (RIP theater 80), but walter reade is still there and a refurbished film forum. has anyone gone since it re-opened, BTW? It's a rat trap! Who'd have predicted his transition to Sir Bob? Phil Lynott... proof that immigrants do great things for a country. If you listen to the demos “The Boomtown Rats” did back then around the time this album came out, it’s weird: Bob Geldof is clearly trying to be some weird new wave Mick Jagger with occasional allusions to Bruce Springsteen… Like this track. The demos not on the official album are straight out Stones wanna-be tracks. TWO movies for 8 bucks and the friendliest roaches in the city! Joe, you're killin' it this AM bruh! Wow, this is so Springsteeny. Aw, thanks, KJ! @TomY: Very! Hey, KP! How's the Nation's Capitol? indeed. :-) got to boogie. just in time, too. have a great day today! try a different browser, Aaron. Tom Y! I guess you heard it too! Speaking of revenge films, everyone needs to see “Death Wish” at least once: Charles Bronson’s wife is killed by a gang lead by Jeff Goldblum and the end of the film has Christopher Guest (as a cop) covering up for him. Also, Charles Bronson’s lack of emotions at all points is pretty hilarious. Especially when he is clearly trying to get upset. He just always is the same. It's shaking and quaking but I live on a boardwalk and give all that no mind. Ronnie Drew, lead singer has one of the most powerful voices I have heard. Does not sound like him on BVB. are we goin' irish now? how 'bout some stiff little fingers! Yes, rw, and so did Jake Gould earlier. Thinking wistfully of my trip to Ireland and especially the Cliffs of Moher. Thanks Joe! I met Ronnie Drew of the Dubs. We talked for a quite a while. Oh, yeah. This playlist moves too fast. Hey Jake! And then the Dubliners! You're making me weep, Joe McG. In a good way. Ronnie wasnt really the lead singer. Luke Kelly was and is on most of the big early hits. He died and Ronnie move more to front..
@JG so, would you classify 'taxi driver' as a revenge movie, or just a profile of a disturbed, alienated mind. “The Handsome Cabin Boy” just reminds me of that failed Chris Elliot film. Sweeney's Men gave us Terry Woods of the Pogues. @List Alex: Ha ha ha! I forgot that that's a story song of sorts. @BrianD: Happy cry! Anyone ever hear Kate Bush's cover of this song? Quite nice. @JG it ain't failed among potheads!! I learned of this song via Frank Zappa. It's a story pretty well known in the city I call home...it happened here in San Diego. I'm late, but: Oh no, what happened to Mark V.'s show? Did she move away? I hope Jonathan Williger takes that slot (if he's able to do late nights). Also, I don't keep up with Tom Scharpling's show very well, but I love his parodies of Prairie Home Companion. Never could stand that show. @jake I thought of the movie too, though I haven't seen it. Well, all I gotta say at this point is ragging on Garrison Keillor now as a schtick seems hacky at best. He’s gone and that’s that. @ike by "racoon", you mean possum, right? I liked PHC in the late 90s, maybe because I was in the Midwest at the time and it seemed relevant there. Watching the downfall of Keillor has been satisfying, though. I've said it before and I'll say it again: Mellow Candle, easily in the top 5 of Worst Band Names. Possums are kinda creepy too, but at least they eat ticks. @JoeMac stiff little fingers, please! i'm falling into a maudlin celtic spiral! Whoops, James from Atlanta stopped in to say hello and things got a little sloppy! Had to recue VanMo. Great show, Joe. Alas no Horslips or Val Doonican!! Yeah, great show as always! But seriously, what is the music that plays behind Joe when he talks? It sounds good. @ike raccoons are delightful, mischievous lil' rascals..how can you hate on 'em? #TLMonk...or some Undertones to go out with a blast! It's almost Van's birthday... and mine too! @Brian: I checked out 3 Horslips LPs and didn't find one story song. Do they have any? @tadpoles Positive Touch still get a spin in this house. thanks for the joe bataan! a well deserved glass of Ishka-Baha for you sir! thanks!!! @Joe well there is The Táin but that is a concept album, outside your remit. #BrainUK...Val Dooegan makes me think of Viv...you know the Intro & the Outro! @TLMonk, I'll try to be nicer to the raccoons. Maybe I'll feed Don Felder to them. Thanks Joe Mc Gasko! Good bye Madame George! Take care everyone! Thanks for listening, everybody, as Van walks down the back street with the glove.... see you next week! Have a great one. Thanks Joe... apologies for the spelling mistakes! @tadpoles you might like this. The rare auld stuff! Thanks, Joe. Mellow Candle needs to be heard again and again.